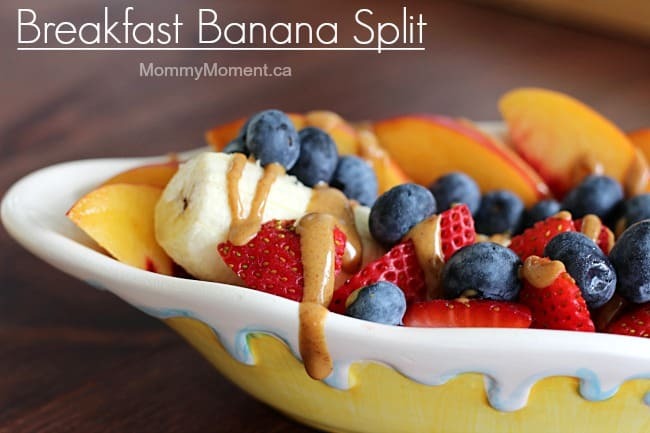 Breakfast Banana Split – oh Yum!! Breakfast is such an important meal, yet often we get tired of the same thing day after day. This breakfast banana split tastes delicious and it’s pretty fun to eat for breakfast, my whole family loves this breakfast treat! 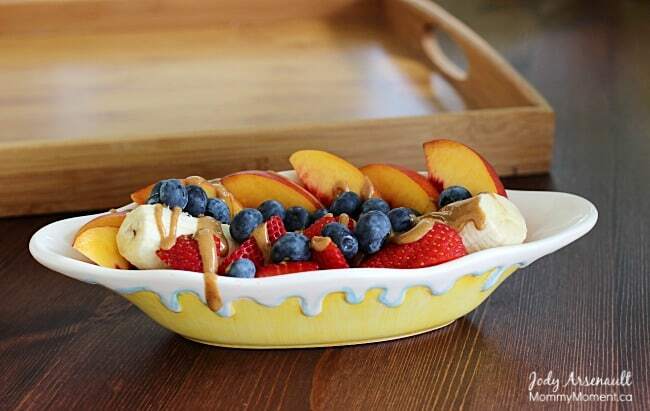 If you are looking for a delicious, healthy breakfast, this breakfast banana split is sure to hit the spot. 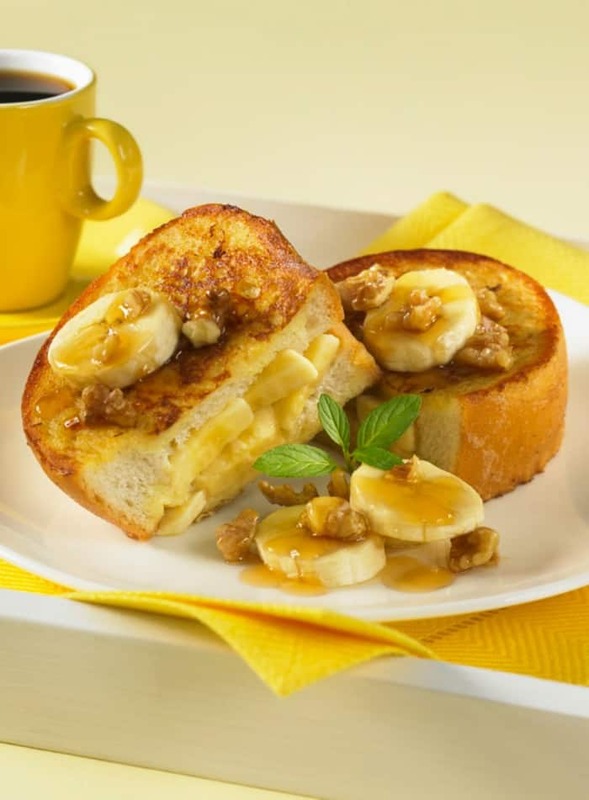 This is breakfast banana split can be enjoyed any time of day – it makes a fun snack for the kids too. I feel great about serving healthy, fun food that our whole family enjoys. You can sign-up to get an email update each day. Connect with us on Pinterest and Instagram and Facebook. Yummy! Looks delicious and healthy!! We love fresh fruit in the mornings. Both myself and my baby girl could enjoy this, thanks for sharing! This looks so good not to mention healthy perfect for summertime ..
You know I have yet to try almond butter! Id love to wake up with a breakfast like that. yummy! That is a very clever way to dress up fruit! I love the almond butter drizzle. Hello you delicious morsel! This is my kind of breakfast! Thanks for linking up at the Be Awesome Linky Party, hope you’ll be back this week! This is definitely my kind of breakfast. Yummy! really lovely! Looks so healthy and wonderfuL! Yummy!!! What a great breakfast idea, thanks for sharing! there is really not much to say about this post other than a great big YUMMMM!!! This is so pretty and fresh! Looks yummy! Looks delish! Like a healthy dessert for breakfast! That looks spectacular! I could eat that for dessert – not just breakfast. What a wonderful (not to mention) healthy way to start the day. Pinning! My grandson would LOVE to see this served as his breakfast and I can’t wait to see his face when I make it for him! What a great idea for a Spring/Summer breakfast. I’ll be making lots of these in the future. What a beautiful presentation! and delicious too!